Did you celebrate National Lollipop Day last week? It fell on the Thursday 20th July 2017 and to celebrate this day, I decided to make Pandan Lollipop Cookies. I love baking and I love the Pandan aroma. It always takes me back to my childhood. Also it is a unique flavour to Asia. You can get pandan chiffon cake, pandan flavoured rice, pandan glutinous ball and many more. Recently, I also baked lot of yummy pandan pretzels, do check out the recipe! Anyway, I wanted to make use of the Pandan flavour to make lots of different kinds of recipes. 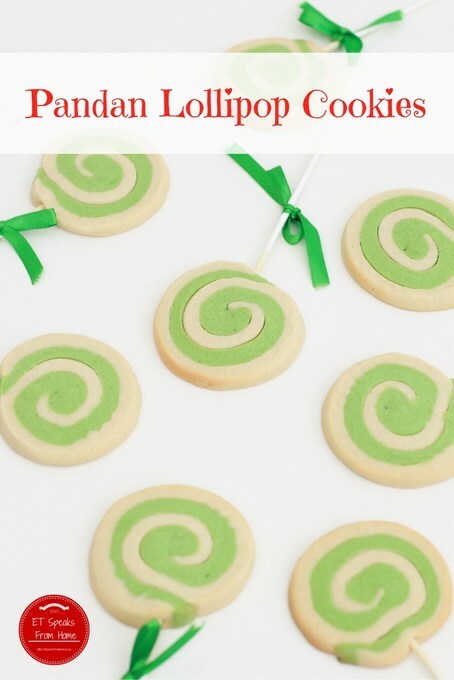 Instead of using making sweet lollipops, for this National Day, I am baking Pandan lollipop cookies instead! Last year when I went back to Singapore to visit, I bought a few mooncake moulds and now it is the time of the year to make it! As I don’t have the main ingredients to make mooncake, I decided to make piglets instead. For my previous mooncake bakes, do check out my swiss roll snow skin mooncake and colourful snow skin mooncake. Piglet or 豬仔餅 has always been my favourite snack to eat during the mooncake festival. But my mum always refused to buy them for me as they are not particularly healthy and they are made from leftover pastry for the mooncake. Now I can totally understand what she meant! A huge welcome to Week 19 of the Tuesday Tutorials Pintorials Pin Party! This week I am featuring cookies. I love baking as I find it very therapeutic. 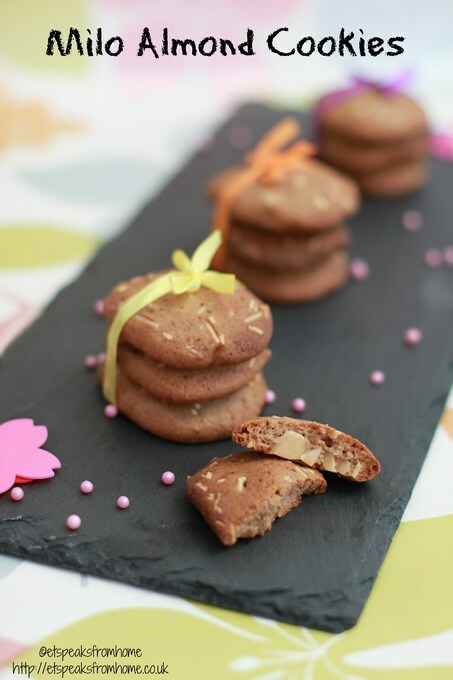 So today, I am presenting three different recipes of cookies! 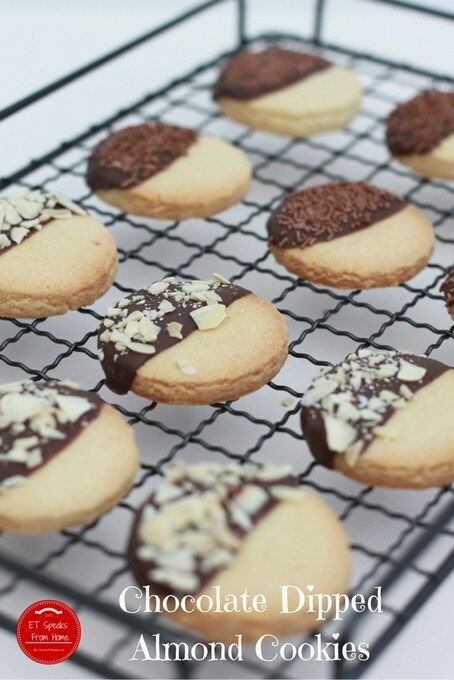 Need a quick fix for your cookie cravings? 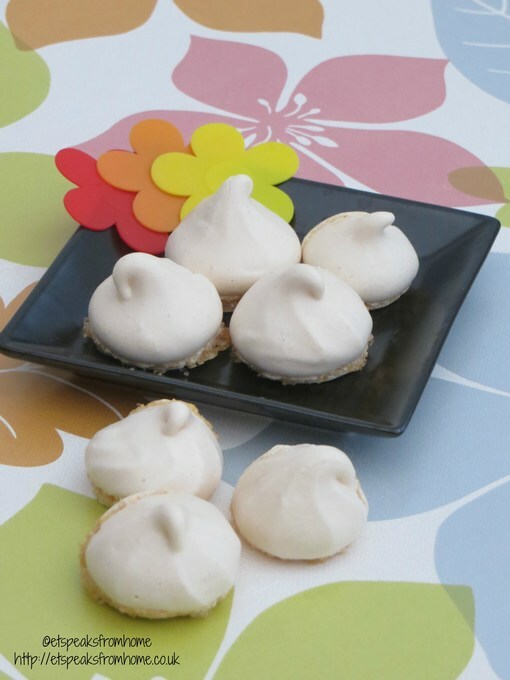 You need this quick and simple recipe from 150 Fast & Simple Recipes book from Parragon! This beautiful little book offers 150 easy-to-follow recipes from light bites like Spicy Chicken Noodle Soup, to more adventurous dishes, such as Salt & Pepper Squid. This small hardback book is available to buy from Amazon and good book retailers. Please do note that this book is pocket size, so all the wordings and photos are quite small! 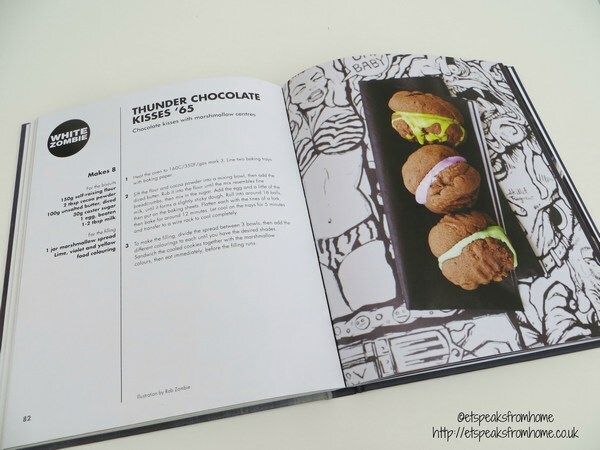 It is very well written and all the recipes look delicious! Best of all, this book is very affordable at RRP £3. 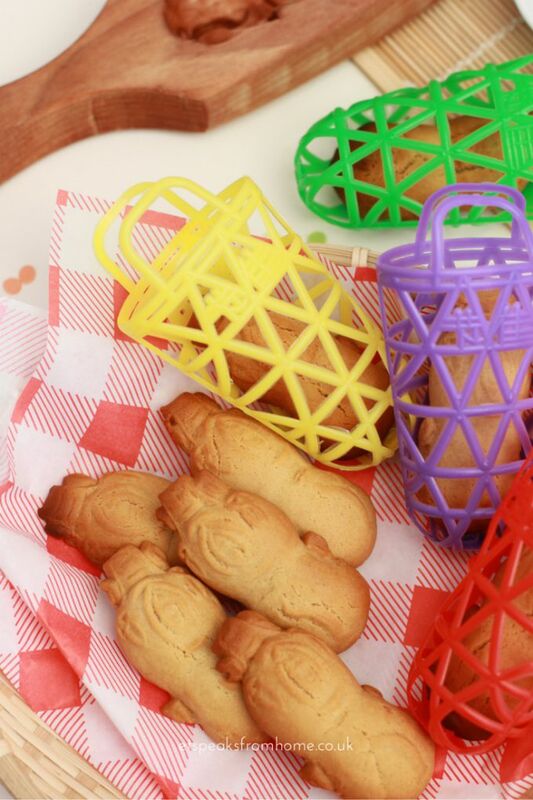 Peanut cookies are one of my favourite snacks to eat during Chinese New Year. Normally we will buy them from shops in Singapore but now living in the UK, it is impossible unless I buy them from Chinatown. 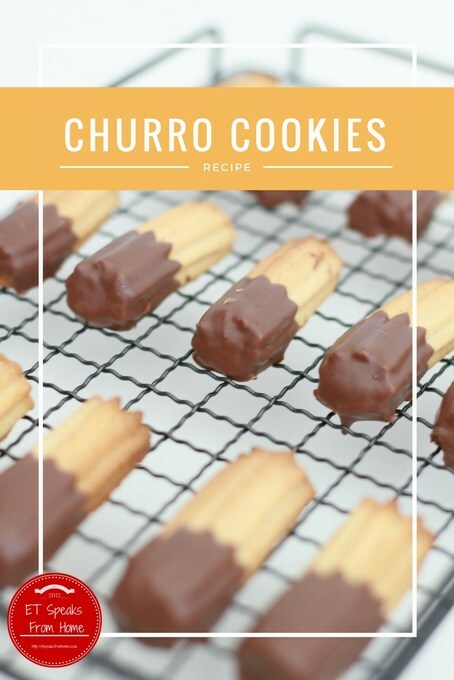 So I decided to make it myself using the recipe book given to me by my aunty. The first obstacle I found to making this recipe was trying to buy roasted peanuts without added salt. In the end I bought raw peanuts and made everything from scratch. You can usually find packets of raw peanuts in the health food aisle of a supermarket. To make roasted peanuts, I chopped the raw peanuts in a blender and roasted them in the oven at 160°C for 15 minutes. I stirred the peanuts every 5 minutes of baking. 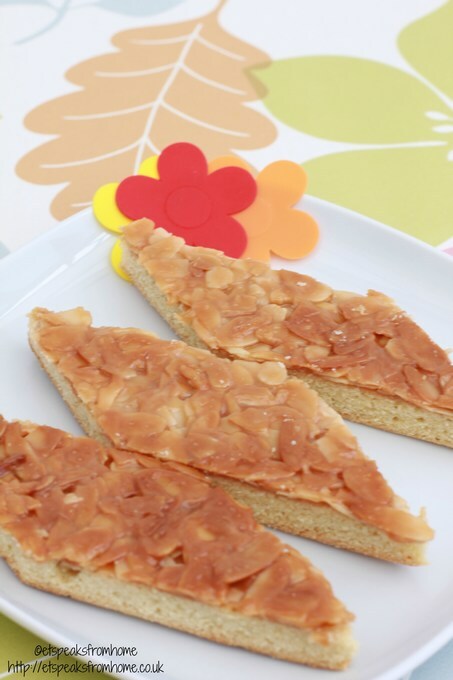 Caramel Almond Crisp is a cookie recipe from The Secret of Cookies by Gu Huixue. I absolutely love this book my friend bought for me in Singapore and have been trying out many of her recipes! 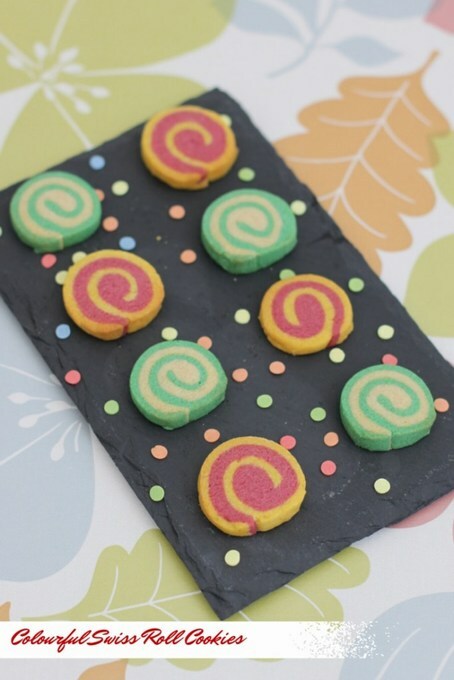 I’ve always wanted to bake colourful cookies whenever I saw the picture on Pinterest. So last week, I managed to spend some time with my daughter to bake them. 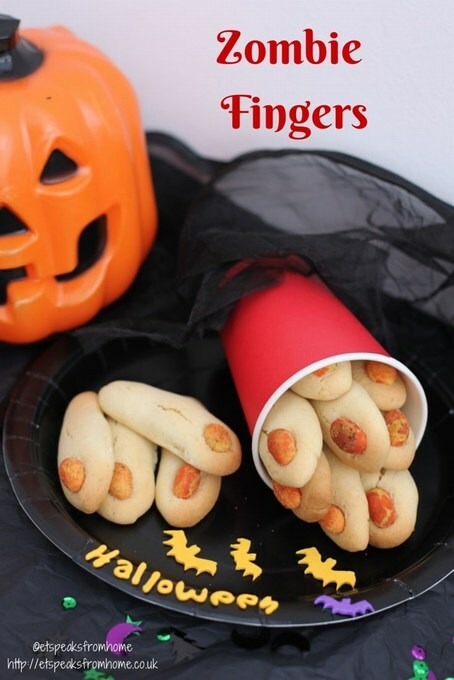 This is a very easy recipe but it does require time to bake and is a workout for your arms. To mix the dough with four different food gels took me a long time to get the perfect colour. My daughter did get quite impatient with me mixing the food gel into the dough so I had given her a plastic glove to help knead the dough too. To make the cookies colourful, I opted for food gel rather than food colouring liquid. Gel is much easier to mix than liquid and liquid may make your dough too wet and soft. This is my first time I bought the gel and the colour is not too bad. I had also used the food gels for my icing when I made my gingerbread house. This December, OXO Good Grips set bloggers an ultimate Christmas challenge to bake a gingerbread house, letting our imagination run wild with all the possible ways we can decorate it. They have also teamed up with Stork to provide us this challenge. 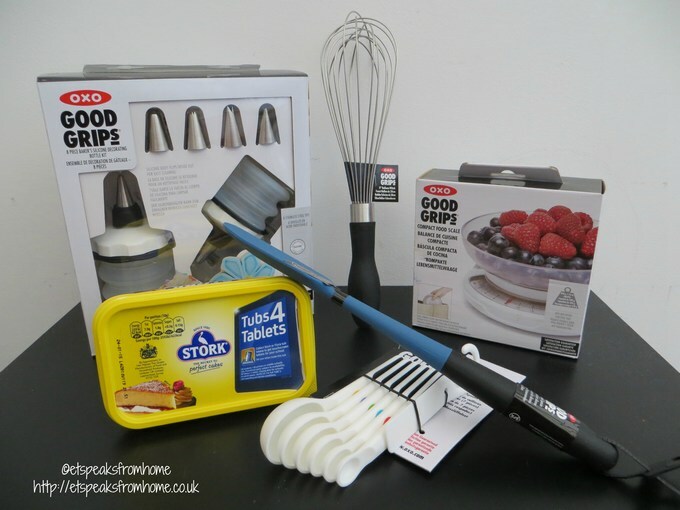 We have received a baking bundle including Stork margarine, OXO’s new bakers 8 piece silicone decorating set, compact food scale, measuring spoon set, 11” whisk and a medium silicone spatula. I have regularly seen many sun catcher craft linkys on our weekly Tuesday Tutorials. So when I saw the recipe for stained glass window cookies (Christmas Cookies book from Parragon), I couldn’t wait to bake them! The stained glass, made by boiled sweets, looks absolutely gorgeous but crushing boiled sweets is not very easy at all! I tried using a mallet, rolling pin and a knife! Also after baking the crushed sweets, it seems to reduce to nothing that I had to keep adding more sweets into the holes of the cookies. These cookies are quite sweet and taste lovely. If you prefer less sweet, do reduce the amount of caster sugar. I have always loved to drink Milo since young. For any of you unfamiliar with Milo, it is a tastier, chocolatey version of Ovaltine. Since coming to the UK, I do miss drinking cold Milo and Milo Dinosaur (a Singaporean drink – cold Milo with undissolved Milo powdered). So I decided to bake a cookie out of Milo. It was a great success! All my family members love it! You can get Milo in most Asian supermarkets like Wing Yip or you can also try the world food aisle of Asda. Strangely, depending where you buy it from, it can taste different depending where it was imported from. We prefer the South Africa import over Malaysia. So this is my Milo Almond Cookies!